How and when did the idea about Konnektor come about? Well Hello first and thank you for the interest towards our baby born event agency. What can we say…? Everything started as an aspiration, we were chatting after a night out about parties in Bulgaria comparing the scene to other European capitals like Berlin, bringing out the pros and cons. We are so passionate about this kind of entertainment that we always wanted to try to organize an event by ourselves. Furthermore we have to say that people in Bulgaria in general have very bad attitude towards techno music and the crowd, connecting it only with drugs and alcohol. Well techno is music. Music is art and for us this is the purest form of art where the artist touches listener’s soul immediately with every sound. So one day, not that long ago, we decided to actually do it and make our dream come true. We gathered around the round table exactly on 16th of July and we made a sketch plan of what we need in order to arrange and realize that party. The party that will show not only that we can organize one, but that we can make something different, better and raise the bar, show to the world that in tiny Bulgaria there are people who think of Techno not only as a business tool but as an art form. We want to show the visitors what is it to be at a place where everything is well organized and every little detail is meant for their comfort and for them to be free to express themselves and enjoy the pure connection, both with music and with people. After that we have put all our energy in nursing this little baby idea. We have put it a name and helped it to become the big and strong concept we have today called KONNEKTOR. Well we have to say it was a long not in time but in effort journey and still we have a little more to overcome, but we are full of passion because we want things to change, change for good. We want to connect and together to build a bridge. But before that we need to tear down “the wall of prejudice”. Because in the end still Bulgaria is a place where the different it is not widely tolerated. Except for the same passion, which is to develop Sofia’s underground scene, what else hooked you guys for life? The Music… with big “M”. We all know that music has a profound effect on your mind, spirit, and behavior. We all had experience that effect on us and this helped us to grow as individuals. That is the reason why we unite forces – to teach how to really listen and to participate actively in those moment you share with others under the sounds of your favorite music – in our case Techno. Sport is another thing that we all have in common, we love snowboarding. It it gives us that freedom – when you glide into the nature and feel that connection we all lost a bit living into this Digital Age – where everybody connects into the internet and forget about the real world. We are four people that love to bring the right questions. What else is necessary in order to build such a special connection? The ability to work together as a team is the change-maker. We are team where everybody knows his role and plays it well. We are different in our professional paths and this is good because our work together can become complex and completed. You need to work as a well-oiled machine in order to achieve what we did in such a short period of time. There are so many details that have to be considered. Event planning is a complex job and need a lot of people involved. We four were not enough and if it was not our friends and family to support us on the way, we would have quit a long time ago. Actually we were so happy to see that not only friends helped us but people who we never knew before believed in us and have become part of this idea, this project – “KONNEKTOR”. We want to thank them all personally but the list is so big that we will turn this interview into movie credits! One big Thank you to everybody supporting us on this journey. What is the process behind the curation of the lineup? Well we had a very interesting approach. First we wanted to show the crowd The Berliner’s party culture and for us the best way to do this is to invite DJ’s who live and play there. Furthermore we said to ourselves that German DJs who play in Berlin is the best case scenario. Here is why we arranged to work together with three German, Berlin based artists. Arsy – who grew up with Skateboards. Hip-Hop and Punk influenced his micro-house, deep house and techno sets. Benjamin Fehr – Producer and head honcho of “Catenaccio” records, working on the development of ‘groove noir’. Buzzing sounds subtle darkness and stumbling grooves grow together to the hypnotizing idea behind his label. Started his DJ carrier, back in 1993. Coco Berlin who infects everybody with his charismatic and surprising mental influenced mix of darker Deep, Techno, Minimal with a touch of Wave and Retro. For more than 12 years he had been celebrating and organizing his infamous more-than-24-hour party “Betriebsfeir” at Hoppetosse in Berlin, a club situated on an anchored boat. All of them form our so called “Berlin stage”. Again this couldn’t be possible without the help of a friend of us who live there and knows them closely. 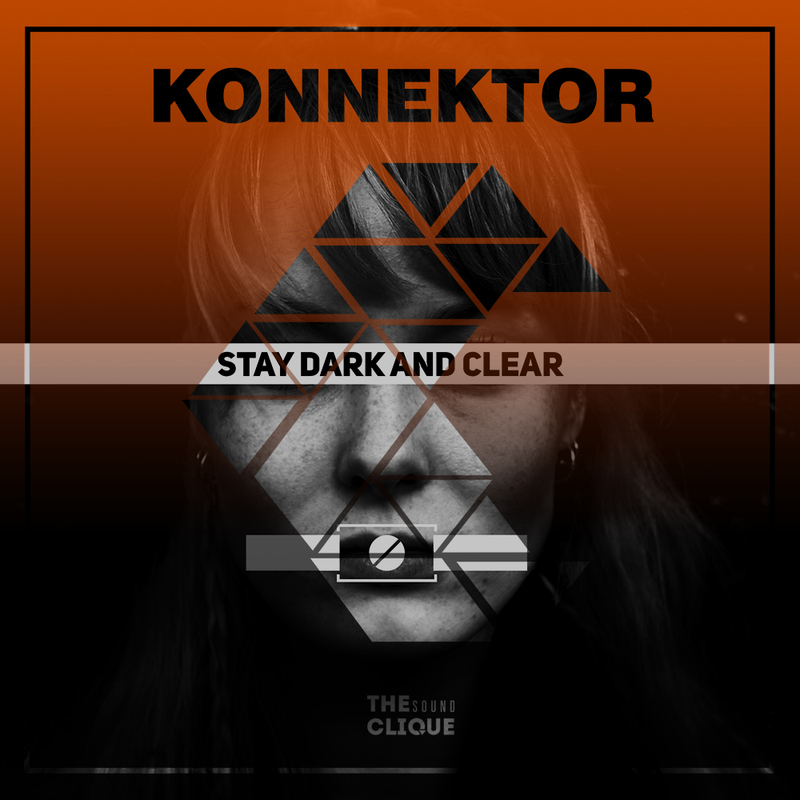 It’s all about connections and togetherness and that is the idea behind “KONNEKTOR”. We don’t want to hide that our “mentor club” is “Berghain” and its way of properly doing things right is making it one of the top clubs in the world. So we decided to follow this pattern and try to bring fragments from it in our event. What we did next was to try and recreate the atmosphere of the famous 20+ hours of parties that take place there. So we decided to have another stage, the natural prolongation of the evening. For that we had the idea to show the Bulgarian underground – represented by Avgustin –Sofia based music producer, DJ and musical discoverer, he released for lables such as Moan, Osmosis and Tagged. His strictly underground sound goes from Micro, Minimal, Tech to Techno. Ed Koev – following his passion for creating and manipulating wide variety of sounds, from underground tech to Techno genres. and Garo – who actually live and play in Berlin. He is one of the key architects behind the blossoming underground scene in Sofia. Curator of the Studio EW. They are all super talented, supportive and they are all Bulgarian. They will show their work on the “Sofia Stage” starting early morning on 17th. Last but not least is something more experimental: E23N42SF is Sofia based Music producer and creator who plays live and his every beat and sound is made by real instruments. He will open up our event at 19:30 with a 2h live set. We all know that Berlin is not Germany and there are a lot of foreign artists and this is why it is such a peculiar place to be. It means that when different cultures and ways of thinking merge something better has to born (1+1=3). Let’s see what will come out when you mix those two cities cultures under one roof. What can the fans expect from your upcoming gig at Fabrica 126 on the 16th of September? Pure entertainment! Everybody is welcome to leave their prejudice and expectations on the door. Our goal is to bring the right questions to the audience so they can be prepared to enter, open up and express themselves freely. We want to make sure the ambient is made in such a way that they feel safe and free. We can’t say what exactly will it happen because we don’t know as well. But one thing is sure – we will organize this event the best way possible. – We have the best Face Control in our team – Agnes from the legendary “Spartacus”. – We have the best sound system – Funktion-One – We have carefully selected the place so the underground club vibe we want to translate is correct and “Fabrica 126” will be shaking under the sky, like there is no other place on earth that you could possibly be at. – The DJs are super talented and amazing, we will listen to very different but style controlled music, every artist has its own sign, and everybody lucky enough to be at this celebration of diversity and connectedness will definitely feel that carefully curated atmosphere. -The visitor will be guided through the space in such a way that he will dive into the VJs – video interpretations of Reality, and feel in that state of trance we all love to be. We will continue till late afternoon on the next day, so you don’t need to rush. You can enjoy every moment and be calm that there is still more. The whole place will be like a fairytale labyrinth and in every corner you can have different experience. Food, Drinks, Chill Zones, Art Installations – all over the space, two stages – one after another, a plenty of quiet spots for you to connect with others. Everything you need under one roof. The only thing you have to strictly obey is – Do not disturb others! No photos/videos, switch off your phones, disconnect. Be present and connect, share that moment with the people next to you. We are all there because of the shared interests, because of the music that bring us together. What do you think of Sofia’s underground scene compared to Berlin, for example? Well things are changing for good here in Sofia and you will see on the 16th. We believe that the Bulgarian Techno lovers are musically intelligent, and always know who is playing, what is his work. This is very important because Music is art- the purest form of art. And you need to understand it in order to appreciate it. This kind of music is not for everyone, it is for people with taste and we are very happy because here in Sofia there are a lot of people who carefully select what they listen, with what they enhance their culture. We are an amazing crowd and everybody that has been here as a guest flies away full of positive vibes and great memories. The atmosphere we are capable of creating is absolutely amazing. We expect that vibe to passes through the walls at “Fabrica” on 16th as well. When it comes to Berlin and its underground scene, there are no words that can describe the experience you get from entering in of the many top clubs there. In those places you can forget about the outside world, captured in the daydreaming experience inside. The people are feeling free to express themselves in every possible way you could think of, and everything looks so diverse that you can’t believe it is real. “Berghain” is our inspiration. It is not just a club it is a temple of music and there is acceptance and respect in everyone that enters inside. This is something we all can learn from and that is the reason we are organizing this event – To show everybody that there are people in Bulgaria that appreciate diversity and can celebrate it. We invite everyone to come and together to tear down that “Berlin wall” once again. And one last question: why Berlin? Berlin is the “Mecca” of the Techno scene, this is the place where 30 years ago Techno became something huge and has spread all across Europe. This why we choose it, we want to learn from the best. We want to celebrate this anniversary and put the foundation for the next generations to continue this legacy. Connect with Konnektor on Facebook.